Sara's happy dog art and unique home decor products are sold at many cool boutiques and gift shops around the world. 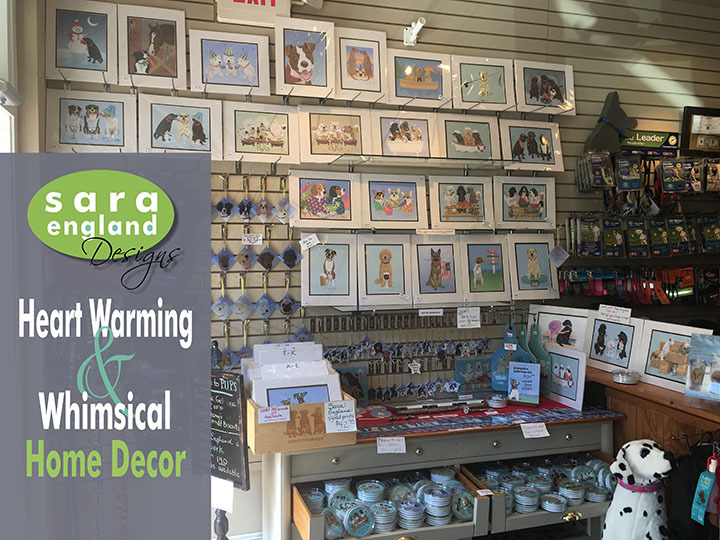 From Kennebunkport, ME – to Orlando, FL – to Idyllwild, CA – to Calgary, Alberta – to Coventry, UK, Sara’s originals make great keepsakes, gifts and souvenirs for pet lovers worldwide. Please take a look at our Wholesale BROCHURE showing all of our purebreed dog, cat & pet products. See all Breeds/Dogs/Cats available HERE.